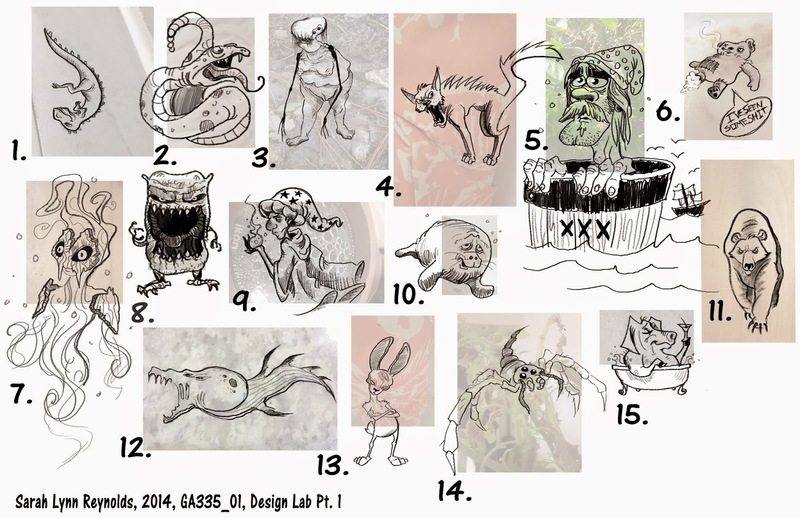 Junior Game Art Design and Computer Animation majors are required to take a visual development style drawing class at Ringling. Our first assignment was to create abstract silhouettes, doodles, and pictures of textures and attempt to create characters out of the abstractions. An additional part of the assignment was called "Force fit". We were randomly assigned an animal, adjective, and machine and asked to combine them by: animal+machine, animal+adjective, and Adjective+machine. In Contraption Chaos you play as a world renowned robot engineer. You've just finished your latest masterpiece, a robot that will efficiently and safely construct any type of building.. 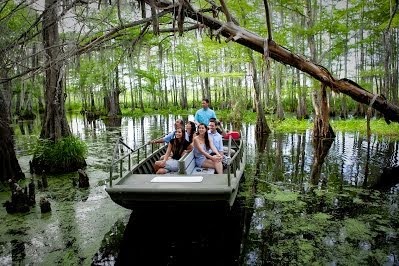 But something goes horribly wrong! Your robot malfunctions, and begins constructing random and ill conceived structures all over your pristine laboratory! 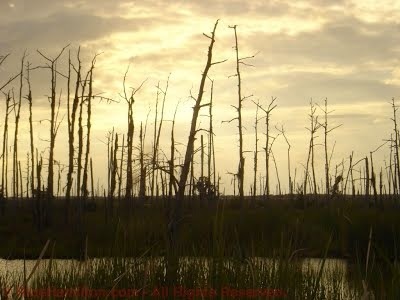 You must deactivate your out of control creation, but to do so you will need to reach him via the crazy obstacles and platforms he has put in place. 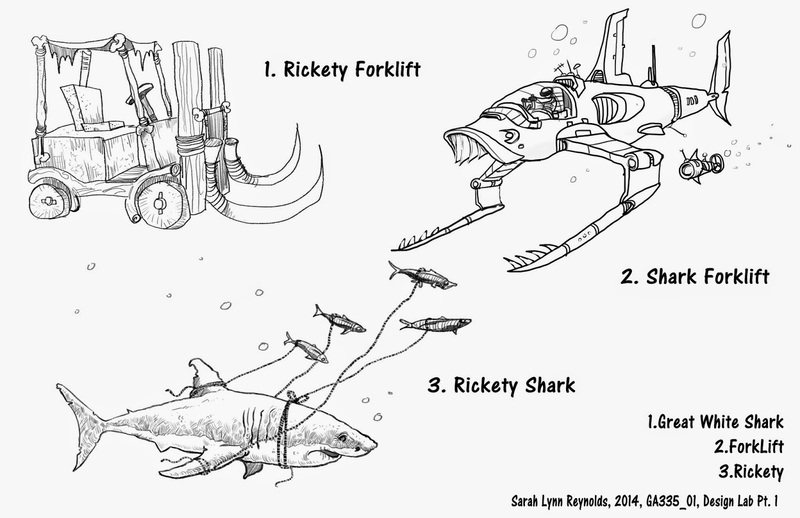 The concept and the twist in my game are very closely tied together. The conflict is as I mentioned before the need to turn off the malfunctioning robot, and the twist is that it's the protagonists own creation. The entire game will take place inside a massive laboratory/factory type building. 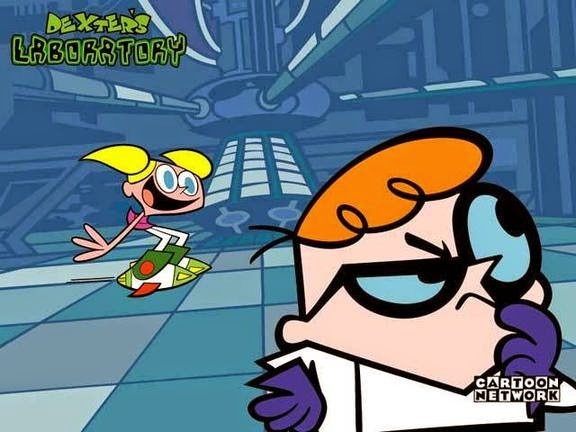 Think Dexter's Lab. Even though my game will take place entirely in an interior so the outside elements are irrelevant, let's say it's winter. The game will take place during afternoon, as while there is conflict I'd like it to remain somewhat comical and lighthearted and I believe afternoon lighting will contribute to this vibe. The only other occupants aside from the engineer and the malfunctioning bot will be his other creations. The engineer prefers AI to humans. The architecture will be somewhat stylized and cartoony but probably very geometric as it will be taking place in a laboratory/factory. Some of the platforming pieces will include robot parts, as the bot would be using whatever material it found around it to build. Again, I'd like the architecture to conjure a 90s cartoon vibe, so Foster's Home for Imaginary Friends, The Power Puff Girls, Dexter's lab, and Samurai Jack will all be big reference points for me. Here are some images from Dexter's Lab for reference to the style I'm leaning towards. 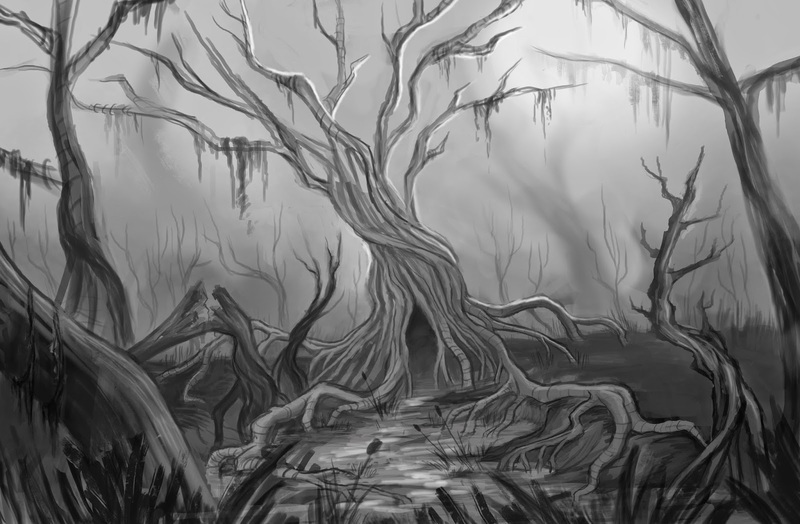 Here's the final concept sketch I created for my goal in the biome project. 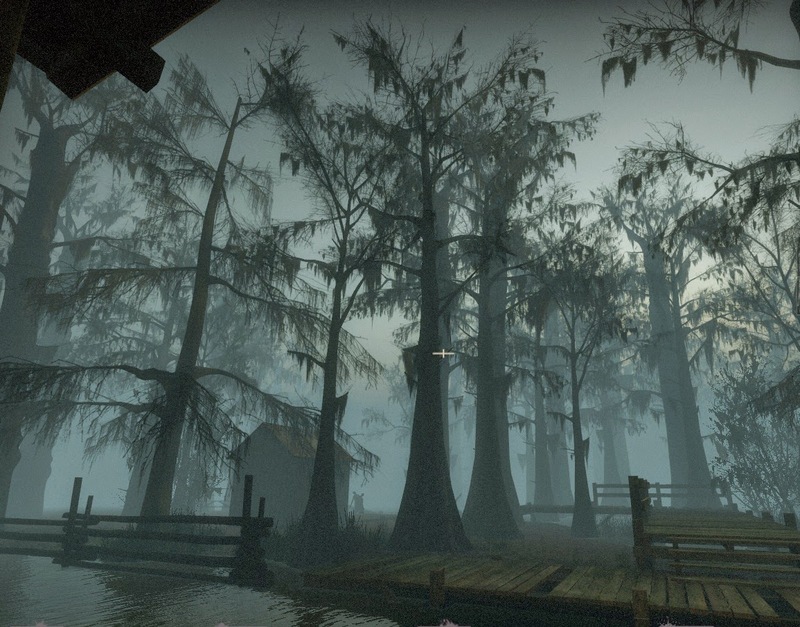 I've settled on a swamp with a dangerous atmosphere that evokes a sense of unease. It's a bit high key, so for my final I'd aim to take the lighting down quite a bit. 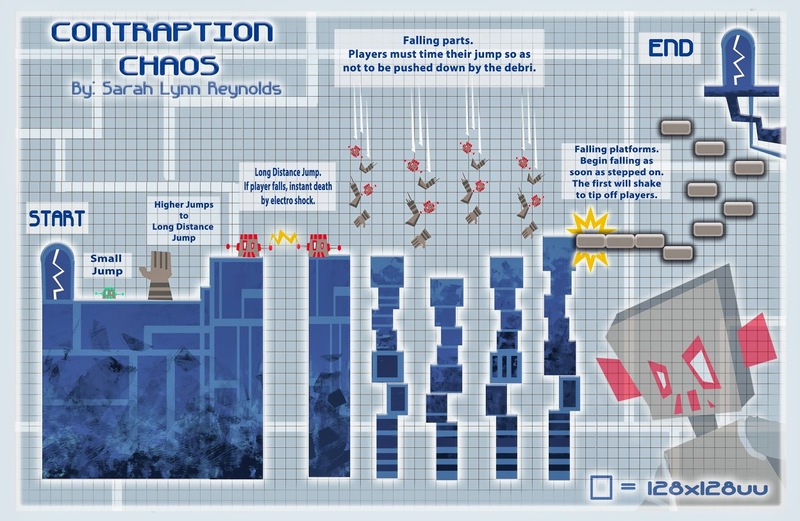 As preparation for creating our own platformer we’re analyzing a platformer tutorial level. 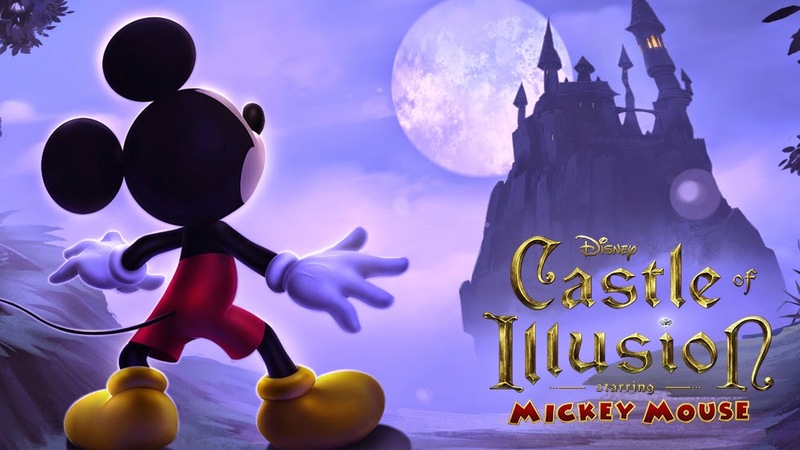 I chose a game I recently bought on steam called Castle of Illusion. 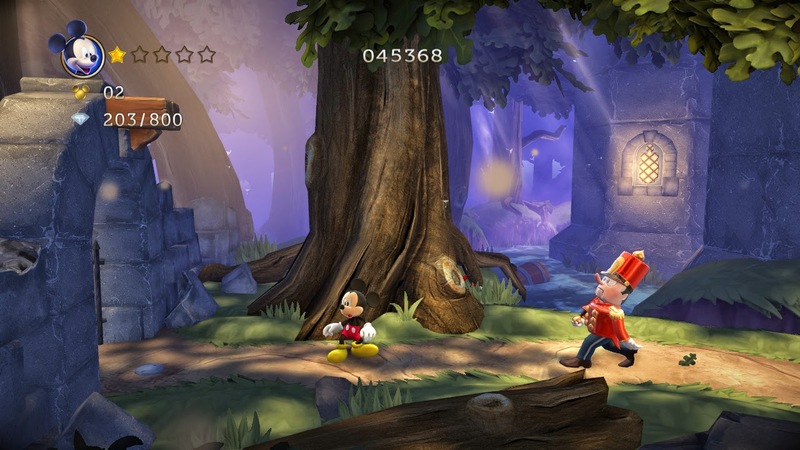 I bought this game mainly because of my unhealthy obsession with Disney, mainly the theme parks and Mickey as an iconic figure, but that’s another story. While the game is simplistic and not extremely innovative, I believe it is a solid, challenging, and aesthetically appealing basic platformer. 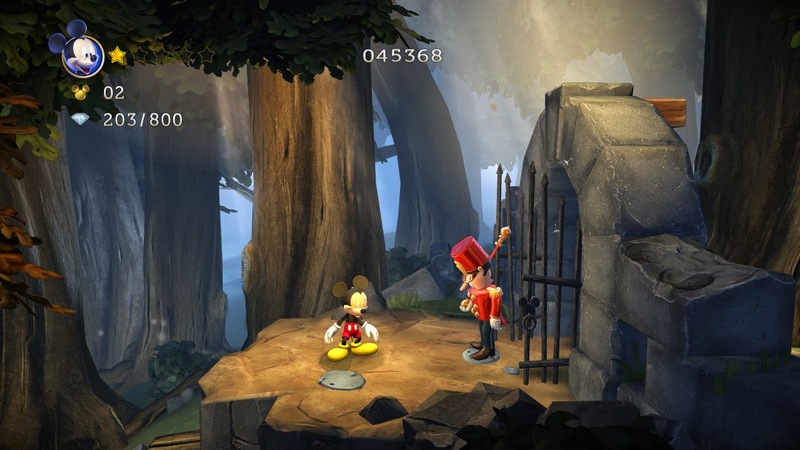 Castle of Illusion is a reimagined 3D platformer originally made by Disney and Sega for the Sega Genesis, but updated for current and last gen consoles and PC. The story is pretty simplistic, Minnie and Mickey go to the woods to enjoy a “picnic”. However, the evil witch Mizrabel, (The Queen from Snow White in her old hag form) has always been jealous of Minnie’s youth and beauty and conjures a plan to steal it. Mizrabel turns day to night and casts a storm over the land, as the lightning flashes and Mickey shields his eyes, Mizrabel captures Minnie and whisks her away to her castle. Basically the Disney version of the whole Mario, Peach, and Bowser thing. 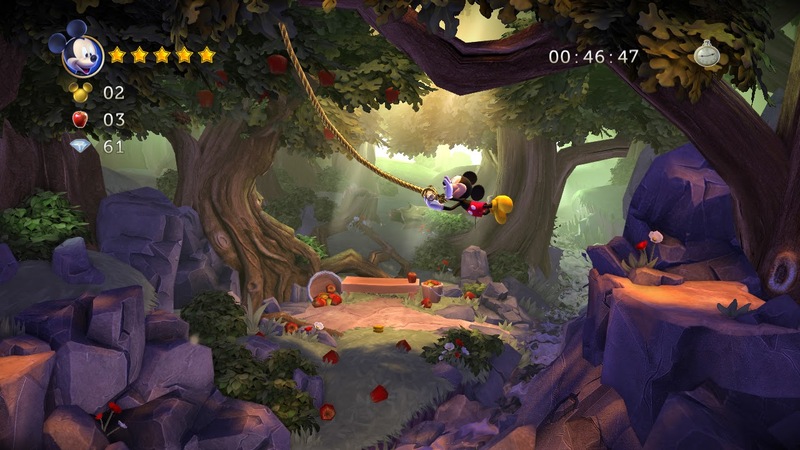 Mickey must platform his way to Minnie, by collecting gems throughout various levels in order to create a rainbow bridge that connects Mizrabel’s castle to the tower in which Minnie is trapped. You get occasional hints from the narrator, who also carries the story throughout the seemingly unconnected levels, and there is a list of “hints” if you open the options menu, but otherwise the tutorial level is very simple and straightforward. 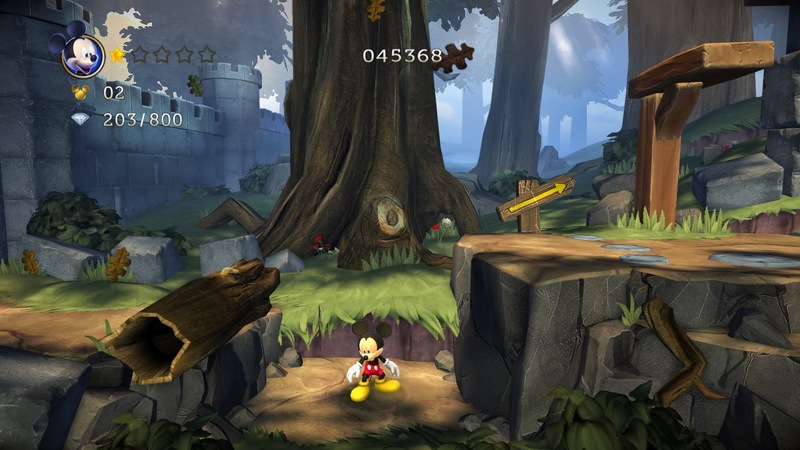 The tutorial actually only takes under a minute to complete, and the layout is paced with obstacles one after another. The tutorial really doesn’t need to be longer, the pace was fast while still being comprehensive and easy to digest. The tutorial phase never gets extremely challenging, but it’s fast enough and ramps up the difficulty at a quick enough pace as to not be a bore. 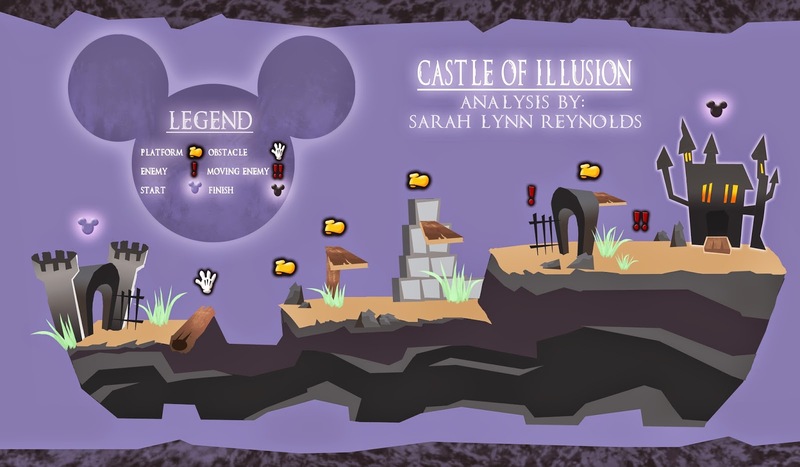 Obstacles presented are tall and narrow jumps, one stationary enemy, and one mobile enemy. 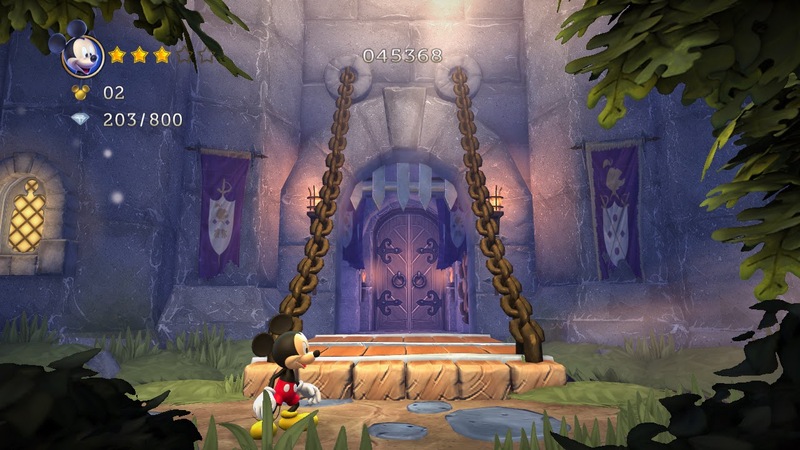 The positive feedback comes mostly at the end when you know you've made it past the gate to Mizrabel's castle, knowing you've arrived at your destination and you're on your way to save Minnie is a satisfying feeling. Negative reinforcement comes from the fact that if you fall off a platform, you'll have to try again, which can get tedious. Another negative is running into the enemies rather than jumping on or over them. 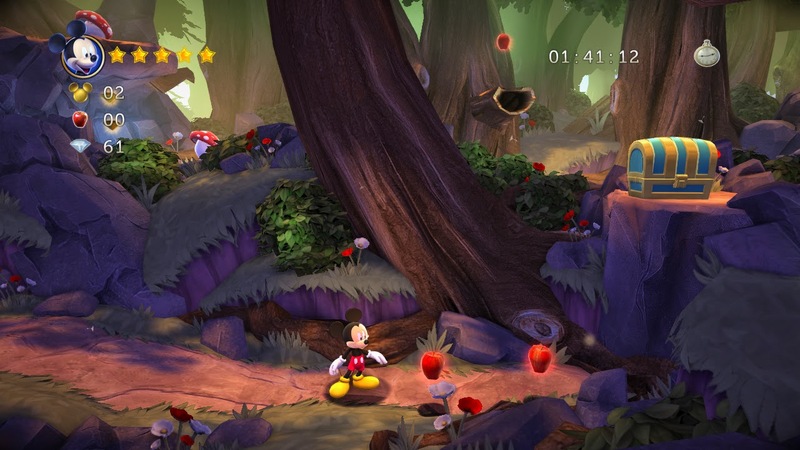 If you hit the enemy you lose stars, and if enough of Mickey's stars are lost he dies, meaning you restart the level at the beginning. You begin with the very basics, move forward and jump over this obstacle. You jump over the log into a small trench that leads to a taller more challenging jump than the log. 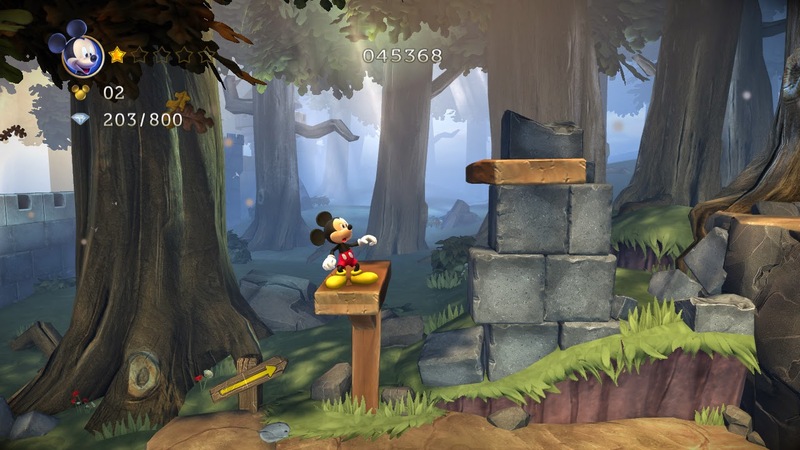 This implies that players should hold down the jump button for slightly longer to complete the higher jump. As I mentioned before this tutorial moves fast. Directly out of the trench you're made to platform onto taller more narrow ledges. From the wooden ledges you hop onto the cliff, where you meet your first enemy. The soldier guarding the gate. He doesn't move, just stands. 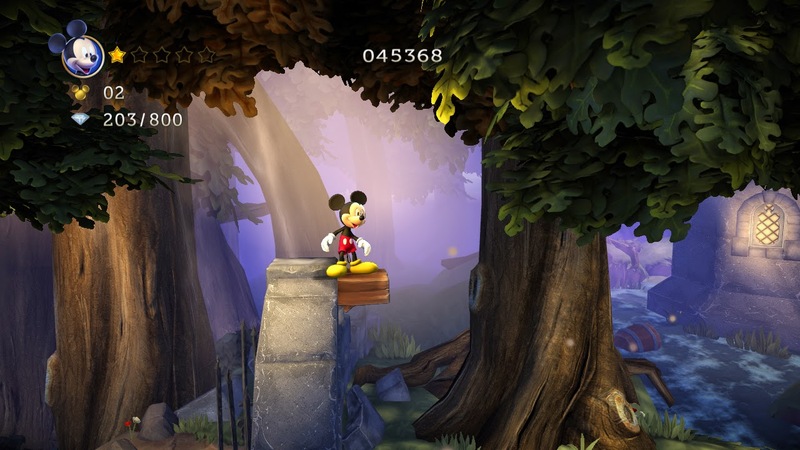 But the wooden ledge attached to the gate implies that the player can reach it. Being that the door is guarded and your only experience so far has been jumping and moving forward, the only option is to jump onto the soldier's head. After the ledge you're introduced to a moving enemy, which moves forward with no sign of stopping. The only option is to jump either over him or onto his head. After this, you arrive at the castle, which is the portal for the next levels. While these are not part of this tutorial level, I felt it worth mentioning that slightly more complicated mechanics are introduced on an as needed basis in following levels. For example, in the next level you are introduced to the throwing projectile and swinging mechanics. The pace at which these extra mechanics are introduced is enough to keep the game interesting and fresh, but not fast enough to overwhelm or alienate the player. Apples that can be used as projectiles against enemies. And here's a layout I created based on the tutorial level. 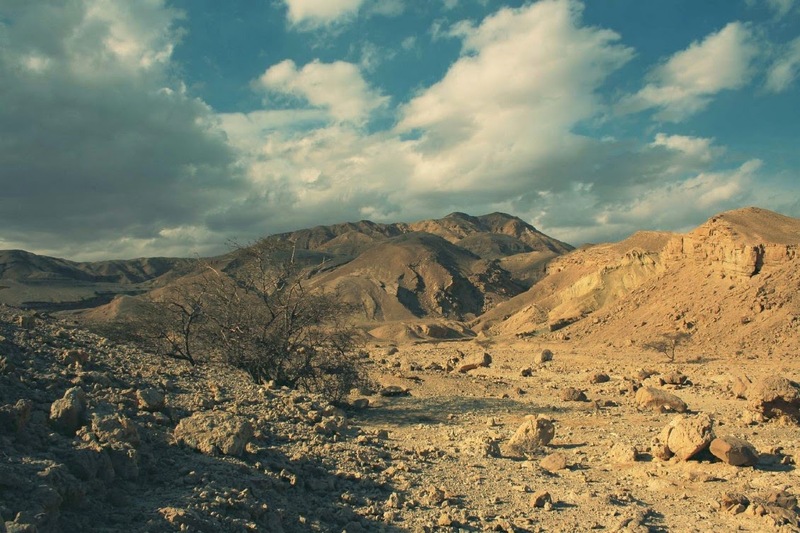 As a bit of pre-production for our biome project we were asked to pick a hi-res image from a real world location and an image from our favorite landscape painter. 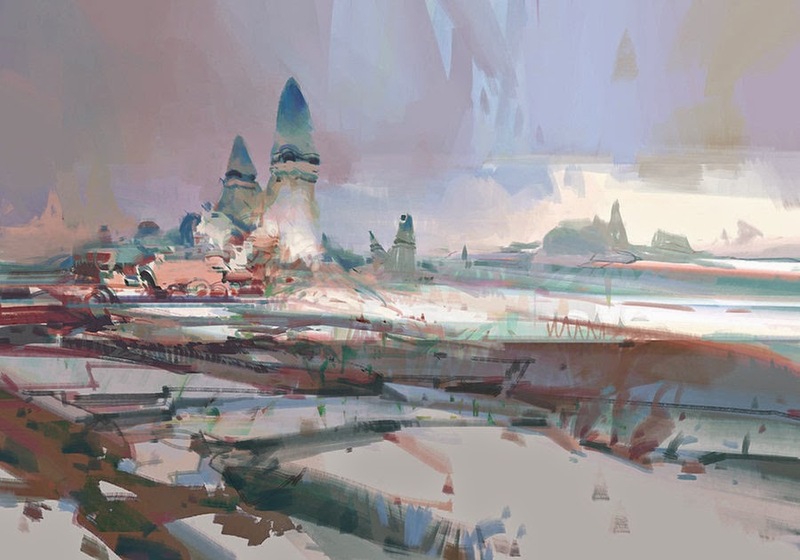 Theo Prins is my favorite environmental concept artist of all time. 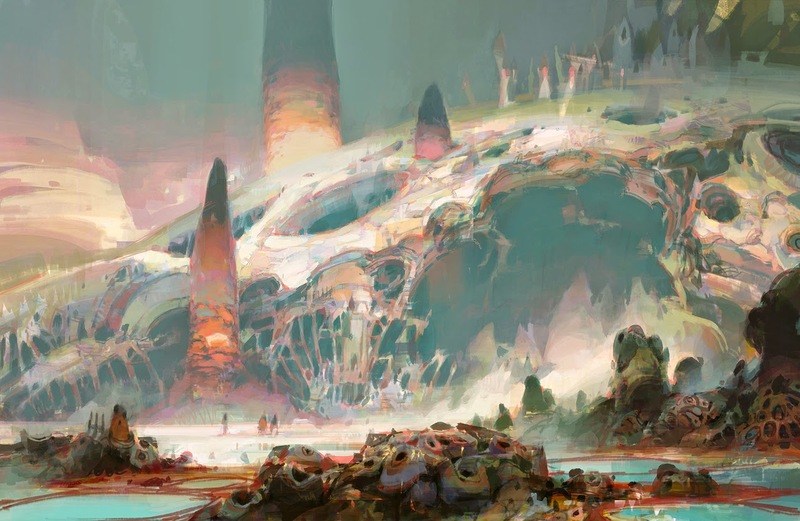 He uses mostly pastel color schemes, yet manages to create a sense of danger and unease in his environments through his use of shape and composition. The juxtaposition of these two elements is refreshing and unexpected. 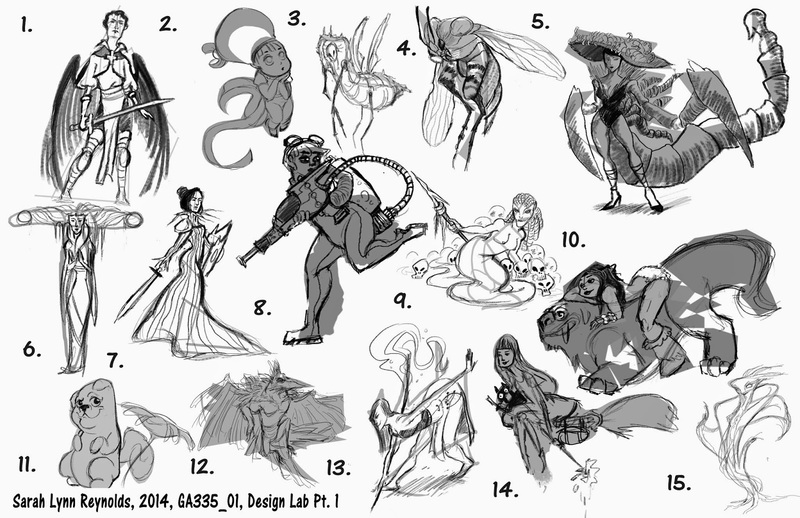 He worked on one of my favorite games, Guild Wars 2. 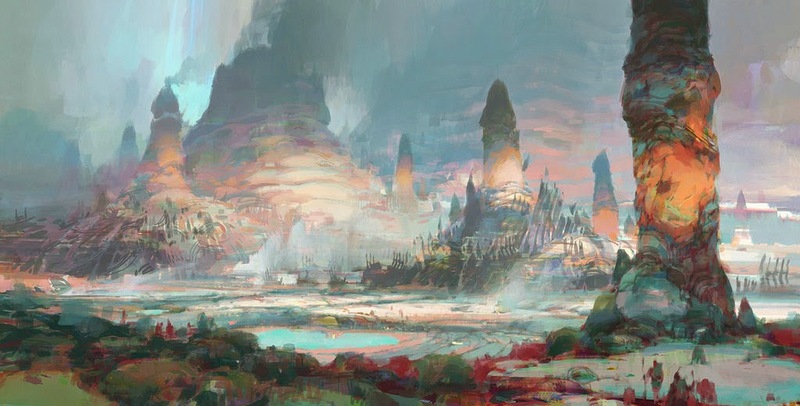 The environments he concepted translated very well to the 3D world of Tyria, and Southsun Cove, is still my number one favorite in-game zone. It's the second day of my junior year at Ringling college of Art and Design. Over the summer I took three online courses, Earth Science, Introduction to Music History, and the most notable Web Development. The goal was to get a few liberal arts classes out of the way so I could spend more time on my game art work during the school year. Web Development was my favorite class as I got a good basic introduction to creating websites, html, and css. The other notable thing I did this summer was work on a level with my classmate Mike Marra. The goal here was to get a better introduction to Unreal Engine 4, which we'll be using for the first time this semester, generate an interesting environment, and learn a few new techniques like texture baking. I didn't completely finish my level but I completed the goals I had in mind when I started out, and I like the idea of working on it whenever I have spare time.